The new OS comes with support for the Sony Xperia XA2, in collaboration with Sony Open Device Program. It will also be available for some other devices and support 4G feature phones as well. Jolla Ltd., the Finnish mobile company and developer of open mobile operating system Sailfish OS today announced Sailfish 3, the third generation of its independent mobile operating system, along with new device support for Sony's Xperia XA2, the Gemini PDA, and INOI tablets. Sailfish is now also available for the new era of 4G Feature Phones. This is the year of Sailfish 3, the next generation of the world's only alternative mobile operating system. Sailfish 3 is a result of rigorous development work and the efforts made together with Jolla's licensing partners and the Sailfish community. For Sailfish 3 Jolla is providing full support for regional infrastructures including steady releases & OS upgrades, services to establish independent R&D centers, local hosting, training, and a flexible feature set to support specific customer needs. Sailfish 3 will also have extended security features and options, taking the level of independence to the next level and making it a solid option for various corporate solutions. Sailfish 3 will be rolled out in phases during Q3/2018 for all licensees and customers. Sailfish OS is officially supported now on over a dozen mobile devices, and even more through the Sailfish community. Support extends several form factors including feature phones, wearables, tablets, corporate solutions, and a range of smartphones. Further with Sailfish 3, Jolla will extend its downloadable version of the OS, the Sailfish X, to new devices, such as the Gemini PDA. New Sailfish devices announced in MWC 2018 include upcoming support for the brand new Sony's Xperia XA2. In collaboration with Sony Open Device Program, Jolla will make Sailfish OS available for the Xperia XA2. Through the Sailfish X program interested tech heads can purchase an official Sailfish X license and install the OS on their brand new Sony's Xperia XA2 devices. The software will become available in summer 2018. 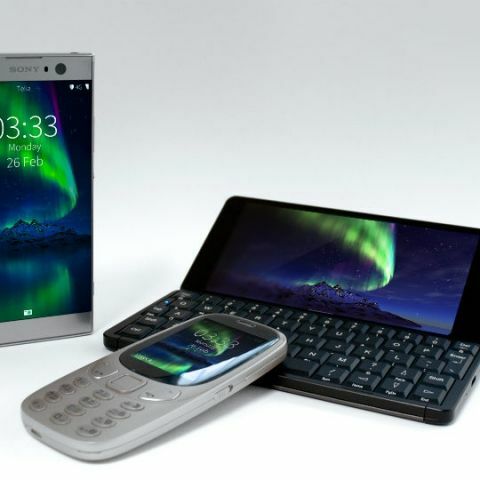 Also, coming soon with Sailfish OS is the cool Gemini PDA by Planet Computers. The popular, crowdfunded Gemini PDA is a next generation mobile PDA with a fully functioning physical keyboard and is now in shipments to its first customers. The Sailfish OS version is first demoed and shown to public in MWC 2018. Further availability will be announced later. The third new Sailfish device announced in MWC 2018 is the new tablet by Russian brand INOI. The new INOI tablet comes in two different versions: 8” INOI T8 and 10” INOI T10. The device is primarily targeted to Russian corporate customers. In MWC 2018 Jolla is also showcasing a totally new segment for Sailfish OS: the new era of highly capable 4G feature phones. For more information on Sailfish 3, please visit https://jolla.com/sailfish3. which are the new firefox os phones?? ?